CLEARWATER BEACH, FL.–Giving up to get more was a major theme of two panels Wednesday at the National HBPA Convention’s first day of horse-racing industry discussion and presentations at the Sheraton Sand Key. The takeaway: more statistical information, including past performances for upcoming race cards, should be provided free or at a radically reduced price to the public in order to spur increased wagering and foster a new generation of horseplayers. 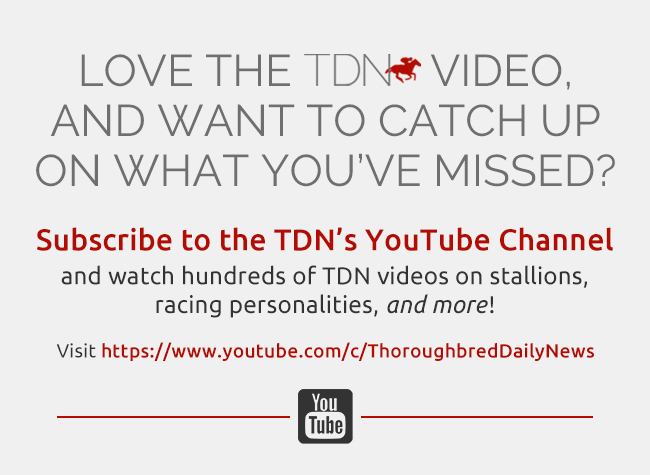 Eric Hamelback, chief executive officer of the National Horsemen’s Benevolent & Protective Association, opted to have a keynote panel comprised of Thoroughbred Idea Foundation representatives instead of an individual speaker. Most prominently was the idea of making more data available for free to the public, especially with the anticipated expansion of legal sports betting across the country. 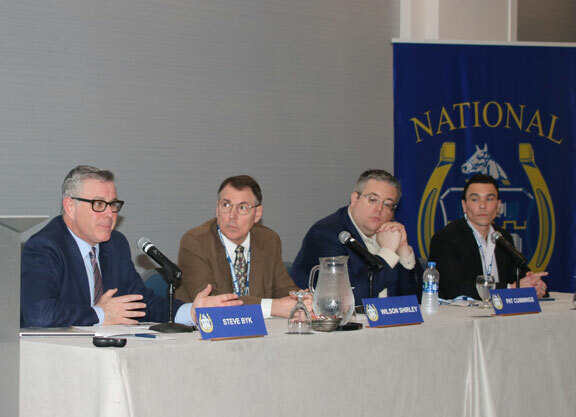 An afternoon panel titled “Accessing Our Industry’s Stats into the Future,” urged horse owners to stake a right to the statistics compiled from their horses’ performances. While Hamelback was not a panelist, he has advocated that racehorse owners deserve a seat at the table in determining how data compiled from their horses’ performances is utilized–including offering free past performances. Equibase, the industry’s official data-keeper formed in 1990 by The Jockey Club and Thoroughbred Racing Associations-member tracks, does offer considerable free information at equibase.com but not the basic past performances or raw data files that TIF recommends. Glen Hill Farm President Craig Bernick, who came up with the idea for the Thoroughbred Idea Foundation, said during the keynote panel that the think tank has four areas it believes the horse industry needs to improve: pricing for customers gambling on horse racing, transparency, innovation and technology and access to information. Wilson Shirley, an industry consultant on the statistics panel, said other sports are catching up with baseball’s Sabermetric revolution in the 1970s and that racing must as well, including tracking all the information of individual horses, rather than just where the field is at a certain point in a race. “It’s going to be like the cameras on self-driving cars that have to process trillions of terabytes of information every second to stop wrecks,” Shirley said. Shirley urged horsemen’s organizations to assert and claim a proprietary right on behalf of their members to the record of horses’ performance in the race. 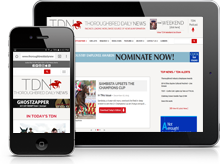 While there was debate over whether data rights existed, the conclusion was that horsemen should make it part of their contracts with racetracks, which in turn would negotiate with the data-collection system. The convention kicked off with Dr. Jennifer Durenberger, the New York Racing Association’s chief examining veterinarian and operator of the Racing Matters consulting business, presented a pragmatic view of why horse racing must embrace racehorse welfare if the industry wants to thrive, let alone survive. Durenberger said horse racing is different than Ringling Bros. or Sea World because of the massive employment and economic impact, statistics that many people don’t realize. “Know your numbers. Talk about those numbers,” she advised. Durenberger urged everyone in racing to be an ambassador for the sport, including using social media. Example: she tweeted on Aqueduct’s Gotham Day: “… when horse claimed, new groom will find old groom and ask about favorite treats and toys so horse can feel right at home in new barn.” She said the tweet got more response than any of the New York Racing Association’s posts that day.